Right-click files/folders and click Send. 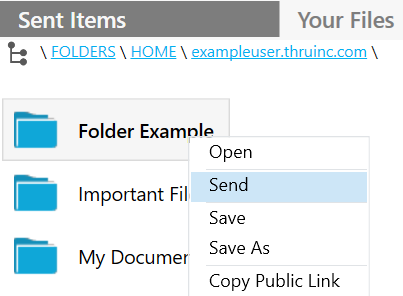 Outlook will automatically compose a Thru Email with your selected attachments. 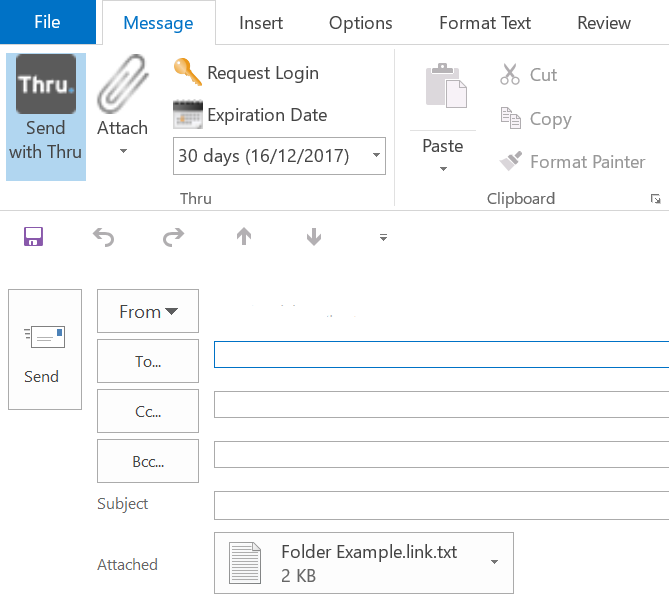 Fill in the additional details of your email and click the send button.